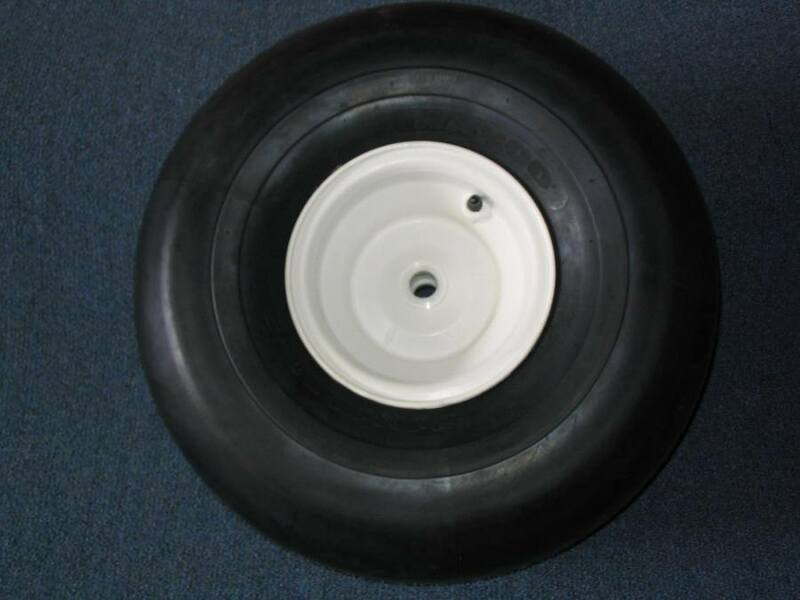 21″ x 21″ balloon tire and rim assembly for all Bigfoot beach carts. The tire is a 2 ply rubber, smooth for minimum rolling resistance. 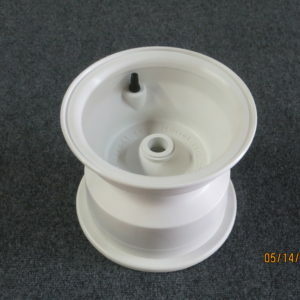 Wheel is constructed of glass filled nylon and the hub accepts a 1″ shaft. 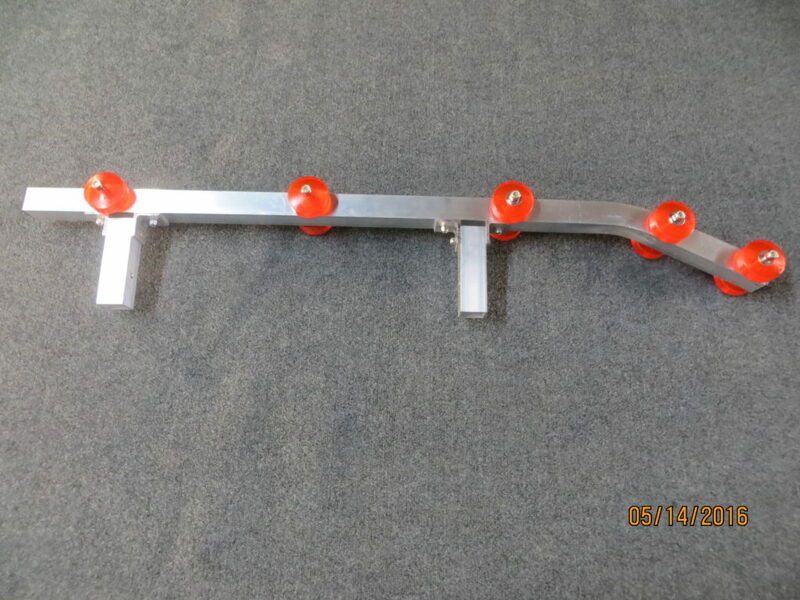 Utilizes nylon flange bushings that are replaceable when worn. Heavy duty composite bushing are also available as an option. This tire works on any surface and excels in a soft environment. Pressure can be adjusted to change the shape of the tire to accommodate different weights or conditions. Rugged and durable.